Turning to the Weekend, from my perspective as one of the organisers with Dr Diane Heath it was a busy, sometimes tense, but a very rewarding time because it was fantastic to see the excitement on the faces of people as they waited for David Starkey, Janina Ramirez, Alison Weir or Anna Keay to sign their book. Some were not satisfied with this and it was lovely to see how these well-known historians were quite happy to have their photograph taken with one person after another. The chance to meet authors who are known from TV, radio and their books is a major feature of the Weekend, as it was last year, and again this drew very favourable comments from those attending the lectures. Moreover, this did not solely apply to these historians, and, at the end of many of the lectures, a group gathered around the speaker to ask further questions, seek clarification or simply to say how much they had enjoyed the talk. These same ideas came out in the questionnaire responses, which included ‘All the lectures I attended were thought provoking’ and ‘The calibre of the speakers was beyond question’. One comment that I hadn’t expect but was good to hear ‘Really good to listen to women historians’, and it was also nice that at least one person ‘liked the different ranges of histories and approaches’ because that had been part of the selection process in creating the programme. So what was on offer? One of the downsides of being an organiser is that you just don’t get to many lectures and those that do are often those you are chairing, which means you are often concentrating on issues of timing, whether the lighting level is right, can the speaker be heard etc. 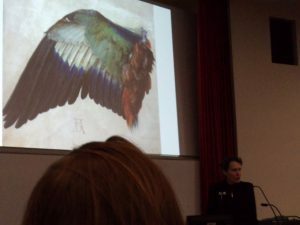 Nevertheless, I did hear a fascinating lecture on Albrecht Dürer given by Imogen Corrigan and another by Dr Matthew Reynolds on late seventeenth-century perceptions of the ‘cult’ of Charles I as king and martyr. It was interesting to see just how different groups sought to appropriate the cult to fit their particular political agenda, as well as those who sought to satirize the whole idea. Even though I did not manage to hear the lectures given by Professor Jackie Eales on witchcraft, by Professor Maria Hayward of Stuart jewellery, particularly the Cheapside Hoard, and Alison Weir’s consideration of Katherine of Aragon, I heard very good reports on all of these and the questionnaire responses backed-up this assessment. 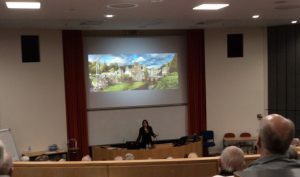 One of the sessions I chaired was Janina Ramirez’s lecture on the backstory to the Pilgrimage of Grace in 1536 and how looking for its roots in medieval monasticism was important to understand why the North had risen to try to ‘protect’ their monasteries. I was particularly interested in her responses to the many excellent questions because Kent was very different to the North. The depositions gathered by Archbishop Cranmer that cover the ‘Prebendaries’ Plot’ of 1543 reveal a diocese riven by bitter division and a preaching war that primarily but not exclusively emanated from the personnel of the New Foundation of Canterbury Cathedral – its 12 prebendaries and ‘Six Preachers’. As a result, parish churches became battlegrounds where conservative and evangelical clerics and laypeople sought to control the religious observances that each side viewed as right and proper in order to institute what each saw as ‘a godly place’ at the heart of their community. The idea of conflict echoed across the Weekend, beginning with Dr Anna Keay’s assessment of the career of James Duke of Monmouth that ended in 1685 at the last battle fought on English soil, through to Professor Glenn Richardson’s analysis of the exceedingly grand tournament between two Renaissance monarchs that is known as ‘The Field of the Cloth of Gold’. Both of these lectures drew on the speakers’ respective recent studies and these books were available at the Canterbury Christ Church University bookstall where they were snapped up by eager members of Anna’s and Glenn’s audiences. 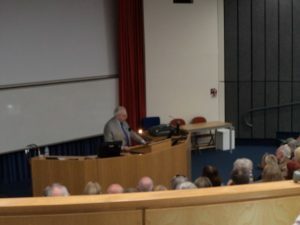 Further examples of conflict include Dr David Starkey’s analysis of Henry VIII’s break with Rome – the ‘First Brexit’ – an event that was far better planned than the one David’s audience is living through today. Also in this category was Dr Amy Blakeway’s assessment of the complex triangle of England, Scotland and France and how marriage negotiations could be used to make and break alliances. Although marriage was not the tool, theology and doctrinal practices were equally capable of being divisive, as Professor Kenneth Fincham explained in his investigation of Archbishop Laud’s plans to transform the Church in England, Scotland and Ireland. A very different form of conflict was discussed by Dr Chris Ware and in this anniversary year it was important to include a lecture that considered the aftermath of the Dutch navy’s success in its Raid on the Medway. As you might expect this is viewed as far more important in the Netherlands! As last year, the guided tours were very popular. Karen Brayshaw, the Canterbury Cathedral Librarian provided a fascinating set of books that demonstrated differing tastes and techniques from early Tudor to later Stuart times. Similarly appreciated by those attending were Paul Bennett’s (Canterbury Archaeological Trust) tours of first the area around the Buttermarket, visiting a ‘sixteenth-century bedroom’ in Debenhams and ‘a lost lane’ in Cotswold Outdoor, and secondly the Minor Royal Palace , or its remains in the King’s School grounds – a rare treat. 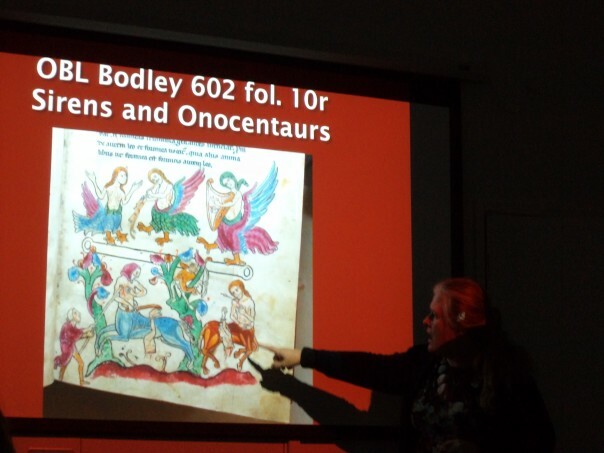 Dr Jayne Wackett’s ‘meet the objects’ in the Beaney was also a sell-out and this too was greatly enjoyed. Organising a Weekend on this scale takes a great deal of work and firstly I want to pay tribute to all the expertise and efforts of my co-organiser Diane Heath – an amazing woman. I should also like to thank publically all the speakers and those attending, without you this would not have created the fantastic buzz that was in evidence throughout. All those chairing sessions too, so thanks are due to Professor Jackie Eales and Drs Seb. Browne, Pip Gregory and Lorraine Flisher, as well as Professor Louise Wilkinson who was Paul Bennett’s ‘backstop’. In addition, the ‘welcome team’ with Mary-jane did a brilliant job helping people and running the temporary box office, their efforts were recognised by many who filled in questionnaires. Several people and departments at the university helped immensely and I should like to thank Matthew Crockatt for organising the website and for giving up his Saturday to take photos of the tours and lectures. Also Ruth Duckworth and Kellie Hogben did an amazing job with respect to the booking system and ticketing, especially last week. Kyle from IT was a great help before and during the Weekend and Reg did a sterling job running the kiosk, and I should like to thank Louise Mallon from Hospitality for arranging the latter at the eleventh hour and counting! Security, too, were extremely helpful and having access to several campus car parks was extremely helpful. 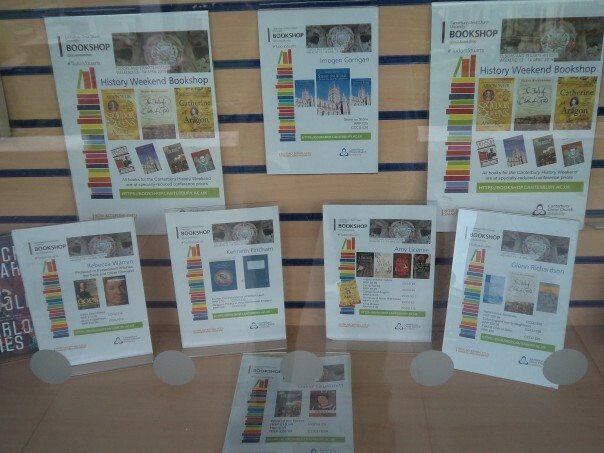 Book signing is valued by attendees and speakers alike, and Craig and his team at the CCCU Bookshop did a brilliant job throughout the Weekend, as well as having a lovely window display beforehand at the bookshop (featured in the blog recently). Outside Canterbury Christ Church the organisers are very grateful to the co-operation and help of the Canterbury Cathedral Archives and Library, the Beaney and the King’s School. Before ending this week, however, I would just like to make the point that last week also marked another event. The Canterbury Heritage Museum as a museum explaining the city’s past through material culture and the building itself will be closing very shortly. Yet, as was apparent for all to see over the weekend people from young students to pensioners have a desire to learn about the past. They crave high-quality history that draws on buildings, artefacts and documents that in the hands of experts can provide a window on the lives of previous generations, from the highest to the lowest members of society. Such events as the Tudors and Stuarts Weekend, and the Medieval Canterbury Weekend planned for 2018, can satisfy some of that desire, but museums, too, and particularly a museum dedicated to the City of Canterbury should be part of the city’s offering to residents and visitors alike.